Date nights, sadly around my house are few and far between lately. With both my husband and I busy with work, and kids busy with activities, there’s precious few moments for us to carve out a little alone time. That’s why when I suggested to my husband that we head to the Piapot Saloon and Guesthouse for their weekly Wednesday wing night, he leaped at the chance! Little did he know that he’d end up loving the place for far more than just it’s wings. Located, literally three minutes off the Trans Canada Hwy from Piapot Landing (I timed it! ), the Piapot Guesthouse and Saloon had long been on my GoHere list as I had heard from many that it was a happening little spot. 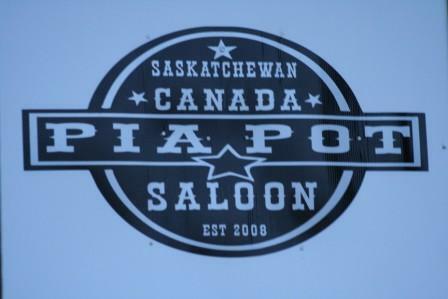 The balcony off the Piapot Saloon is reminiscent of the old west. Driving up, it fit right into my every stereotype of what a place called a “Saloon” should look like, right down to the balcony on the second floor that looked straight out of a spaghetti western. I almost half expected to see Miss. Kitty herself appear up there, or some cowboy come rolling out the door and through the railing. In existence since 1929, for at least the last 50 years, the Piapot has been one form of Saloon and Guesthouse or another, though rumour has it that there was once an adjacent building to the Saloon that may have housed a cafe and hotel of sorts, a rumour that’s aided by the existence of 22 room keys despite the fact that the Piapot only houses 6 guest rooms. Once through the inner pair of dual swinging doors, true to it’s western roots, the first thing you’ll notice about the Piapot is that it isn’t your typical bar. Part rustic ranching western, part modern biker, with a dash of oilman swagger thrown in for good measure, it’s decor is as eclectic as it’s clientele, and it offers the best pub food you’ll find an hour and a half in any direction. 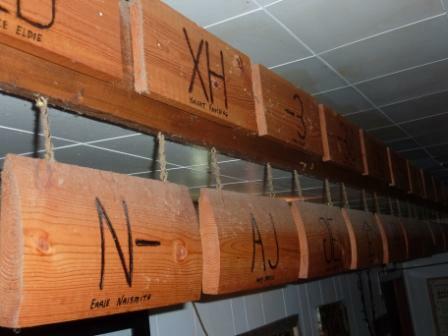 With a fascinating display of local rancher’s brands lining the roof line, (most of whom still come in for a drink now and then), a mishmash of artifacts decorating the walls, including a guitar, a rifle, some hockey sticks and who knows what else, it also contains a wide variety of amazing photographs, as well as the usual modern neon bar accessories. It’s like playing a game of Where is Waldo, and you’re eyes simply won’t know which way to look until they’re drawn to the flat screen tv that fills one wall, upon which on this night, played a slide show of some outstanding photography done by none other than owner Glenn Bonnet himself. 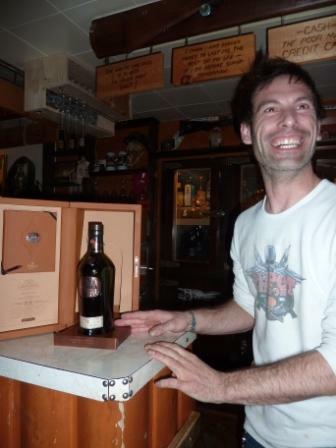 Charming and charismatic, Bonnet, who has owned the Saloon for the past five years, is a smiley, happy guy, with a passion for good scotch, a good cigar, good music and a good time. Happily answering all of my questions, while simultaneously juggling his short order cook and bartender duties to the surprisingly full house for a Wednesday night, Bonnet revealed that he has discovered a newfound passion for fine single malt Scotch, and instantly gained the rapt attention of my husband, a fellow scotch aficionado, and now his new best friend (So much for date night!). 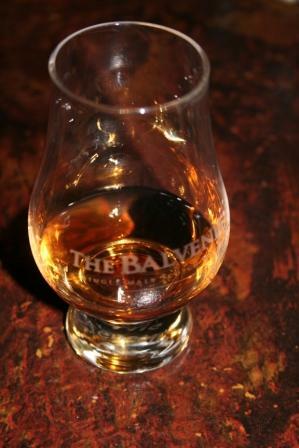 After sampling four of the many different Scotches on the menu, many of which he had never tried before, we heard a murmur go around the room. 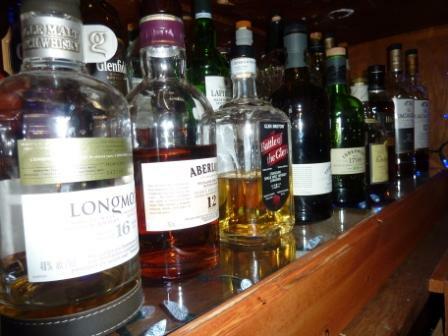 Some young man had just ordered a dram of the 40 year old Glenfiddich on the menu – that scotch that sits at $225 a shot! With much pomp and circumstance the bottle was fetched from the back, the key to it’s case produced, and it emerged from it’s casing in royal form. For good measure, Glenn gave the young lad who had ordered the shot, a fine cigar to finish the experience off. 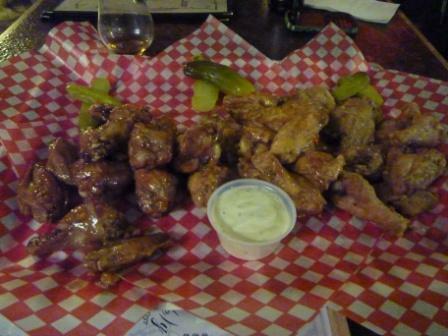 Then we turned to the real reason for our visit – the plateful of wings that are offered up on Wednesday’s for a mere $3.00 a pound! And they easily lived up to their delicious reputation. 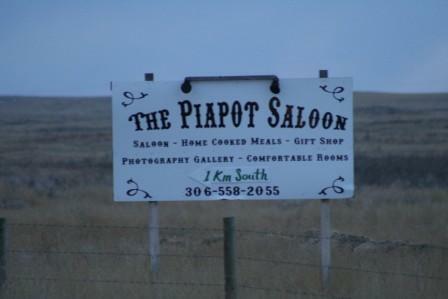 The Piapot Saloon and Guesthouse has got Atmosphere with a capital “A.” Whether you’re a discerning Scotch drinker, a good ol boy looking for a place to let off some steam, a group of ladies looking for escape from kids and husbands, a rancher in from the heat or cold, or just a lucky tourist who’s happened to learn of this little gem that lies just off of the Trans Canada, the Piapot Saloon isn’t just unexpected – it’s better than expected, and a place that should most definitely be on your own GoHere list! It’s always hot in Piapot. How to GoHere: Easy to find, ample signage shows the way to Piapot. 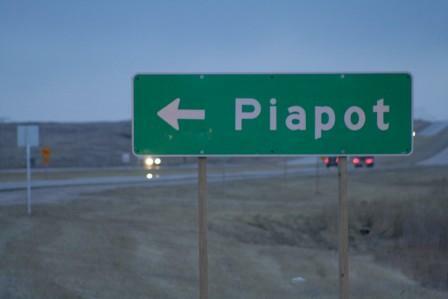 Simply turn at the Piapot Landing, a huge slab of concrete that once housed a gas station, and now makes a convenient rest stop for truckers all winter long, while offering a food truck for hungry travelers in the summer. For those who need or want it – here’s a map. Gotta Go? 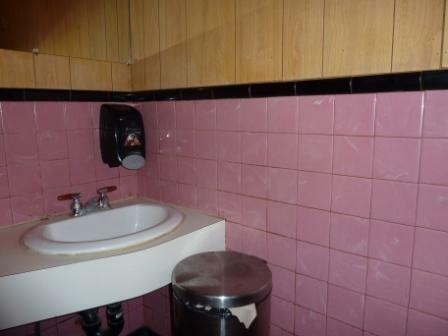 : Thankfully the washrooms don’t follow the early century theme of the rest of the Saloon, though I can’t say I was lovin the wood paneling and Pepto Bismol pink tile combo that was a throwback to the Saloon’s previous owner in the 70’s. They’re clean and functional – which is really all you need. Cash and Debit are both good here – and there’s even a cash machine for if you want to splurge a little extra on some of those higher end Scotch’s. The seating capacity of the Saloon is somewhere around 51, and the summer patio can seat up to 400 (and it has!). 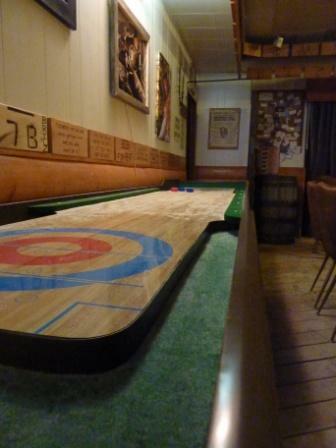 Kids are allowed in the Saloon until 8pm, longer if there are no rowdies about. 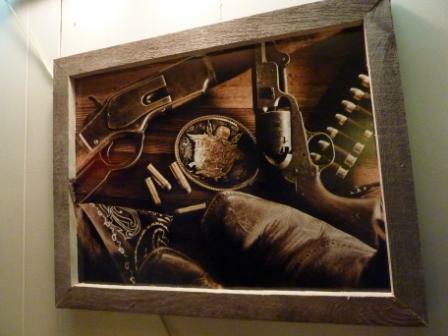 Personally I think they’d find it a real treat to walk into a real Saloon! For those REAL MEN – the Piapot offers “Mangtables” (pronounced man-ge-tabulls) – the manly version of vegetables, Mangtables are mixed-vegetables fried and tossed in buffalo sauce. The Piapot even has it’s own clothing line ranging from t-shirts to bootie shorts, thongs, and bunnyhugs in a price range from $15-$40. 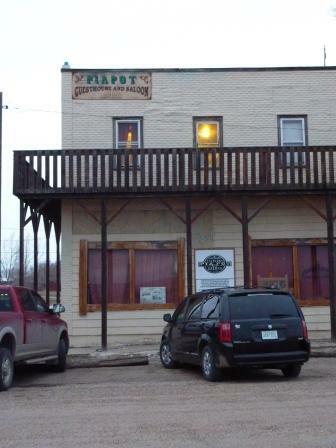 For those ghost hunters out there – sorry to disappoint but this old-time Saskatchewan Saloon sadly lacks any ghosts according to it’s owner. For those Scotch lovers, I have it on good authority that Glenn is more than happy to arrange a private Scotch tasting for those who wish to partake. Just give him a call or send him an email. His contact info is available on his www.piapotsaloon.com website.